Jesse Ramsden (1735-1800), English instrument maker. 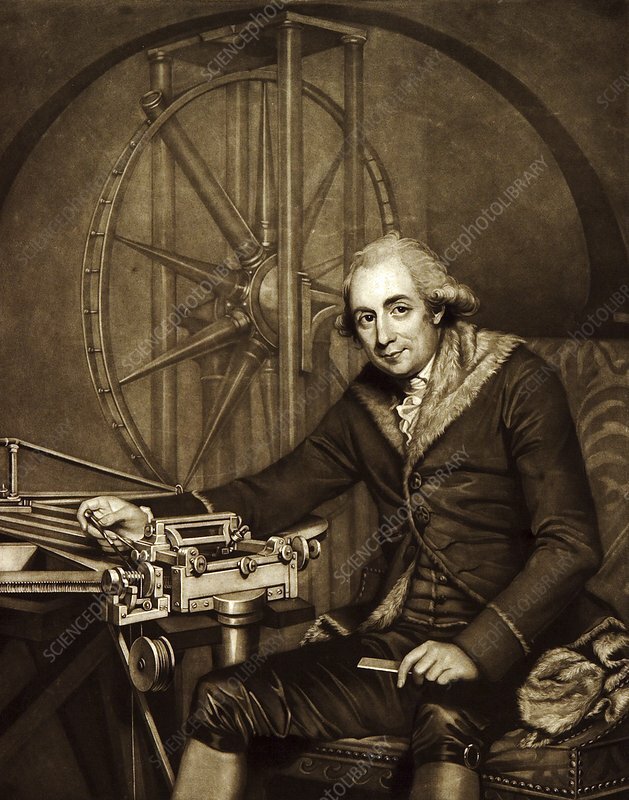 Ramsden, who began working for a mathematical instrument maker in London in 1758, became renowned as the best instrument maker of his time. He was appointed optician to King George III, and was elected Fellow of the Royal Society in 1786. Here, he is holding callipers and a ruler. At lower left is a dividing engine he designed. Behind him is his astronomical circle (telescope on azimuth circle). This mezzotint artwork is by the 18th-century engraver John Jones, based on a circa 1791 painting by British artist Robert Home (1752-1834), held at the Royal Society.